There was always something fishy about Winnie the Pooh and his lovely friends. Deep down we all knew things were not as shiny as they looked. 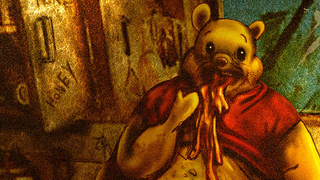 Artist Paul Ribera has some polaroids from the Hundred Acre Woods, showing Winnie the Pooh and almost everyone else in their privacy, and in their true form. Check out his Tumblr for more childhood-ruining pics.